Peaktop LV130T 132 GPH Submersible Pump 6' Cord and 6 White LED Ring with 2' Cord for Fountain Aquarium | Fountain City Art Ctr. 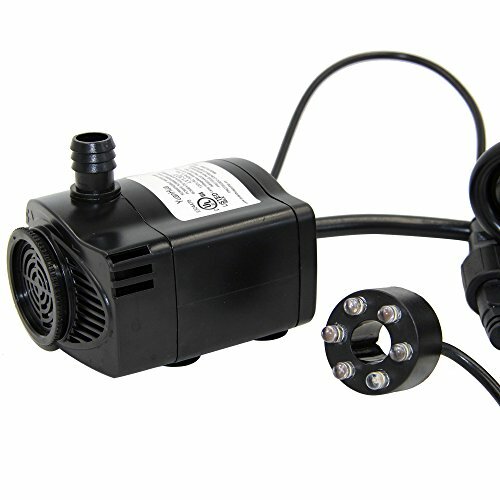 Water pump with 6 feet cable and a 6 white led light ring. The flow can up to 132GPH and 48 inch high. Energy efficient, and quiet. Flow rate: 132 gph/h.Flow height:48 inch WATT: 9w. Electric current: 0.14.